I wanted the new boxes to be leak proof and lighter in weight. The search led me to several options and finally settled to BentGo Kids lunchbox. The kids have been using the box for a week now and they absolutely love it, I do too. Follow us on instagram for more school lunch ideas. Easy to open and drop proof design, the box has 2 latch that can easily be opened by my 3 yr old and it has rubber coated edges that is great for active kids who tend to always drop things when in a hurry. My son’s group gather for school break and sometimes play this game called “hey catch this”, where they call out another person and throw random objects for that person to catch, most of the time that object is the lunchbox. We had a talk about this and forbid him to participate in this game. It has 5 compartments; one large that will fit your main meal of half cut sandwich, rice or salad and 3 medium compartments for meat, fruits, vegetables, yoghurt or cookies and one tiny round compartment for ketchup, sauce or a surprise sweet treat. I will always prefer packing school food in a compartment style boxes because it eliminates the need for bags and incidents where the kids come home with a missing lid. It also reminds us to pack a balance meal for them since you need to fill all compartments, admit it when your staring at a square box we have the tendency to just put it 1 food item inside. The Bentgo Kids box is leak proof, no more soggy bread or cookies cause by spilled sauce and you are guaranteed the food stays in it’s corner the way you packed it. I was honestly quite nervous when I placed soy sauce mix for the rice rolls that it was the first item placed in the box. I close the lid and did some test: tilt and shake the box – soy sauce stayed in place and did not leak, and finally I purposely dropped the box from my waist to the floor – still did not leak to other compartment. Yey! For every lunchbox bought you get a Free E-book of lunch ideas to make packing lunch fun and easy. 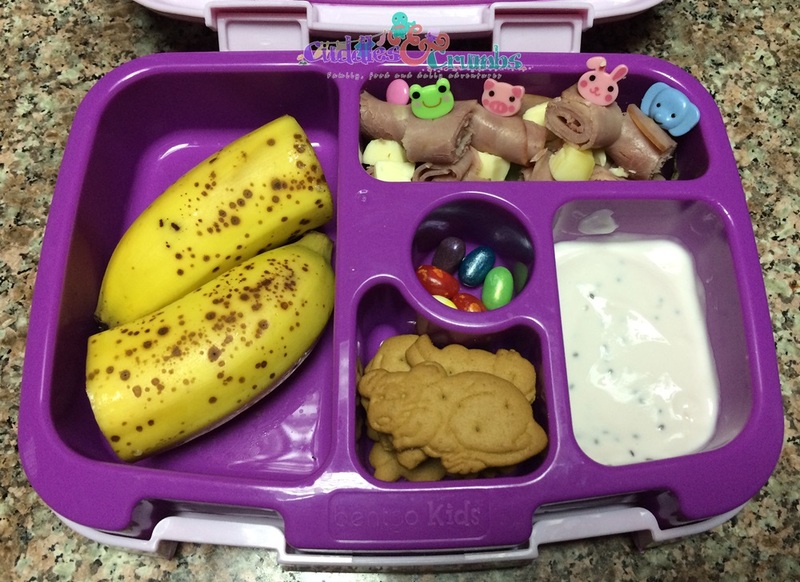 As they say we first enjoy food with our eyes so let’s find ways to make eating fun, the main reason why I make time to make fun lunches for my picky eaters. Age recommendations for the lunchbox is from 3yrs to 7yrs old but we find that it is just the right size in their limited (25 minutes) lunch break. My son is turning 8 yrs old this month and has medium to big appetite but does not come home complaining that he got hungry for the rest of the 4 periods after lunch. I always pack him additional bus food, a cereal bar or sandwich for him to eat on their 30 to 45 minutes drive home. BentGo Kids is smaller compared to our existing compartment style lunchbox but when you fill it with a well balanced meal it can hold a good amount of food. The BentGo Kids lunchbox cost $27.99 with free shipping for orders over $35, we bought ours last September 2015 and had it delivered to our shop and ship US mailbox. As of the moment they only ship to the US. Head over to our facebook page to participate in the giveaway. – Giveaway open to readers with a valid address or mailbox in the US. – The winner will receive one BentGo Kids lunchbox. – Winner must acknowledge and reply to our email within 4 days or else a new winner will be chosen. I seem to be collecting a whole lot of lunchboxes now that both my kids are at school/nursery. Love this review and hope to pick one up when I’m back in the States. It is addicting 🙂 sadly we don’t have a lot of choices here in Dubai. What boxes do you use now? Great box! Shame I don’t live in the US! 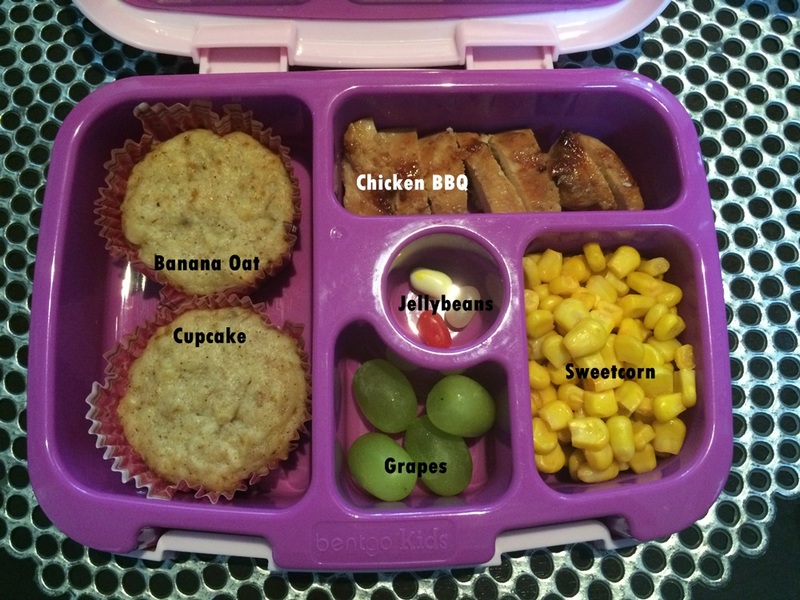 I love a Bento, and anything with compartments really – I am also a fan of the ‘Muffin Tray dinner’ as a treat for kids once in a while! Looks like a fab box. 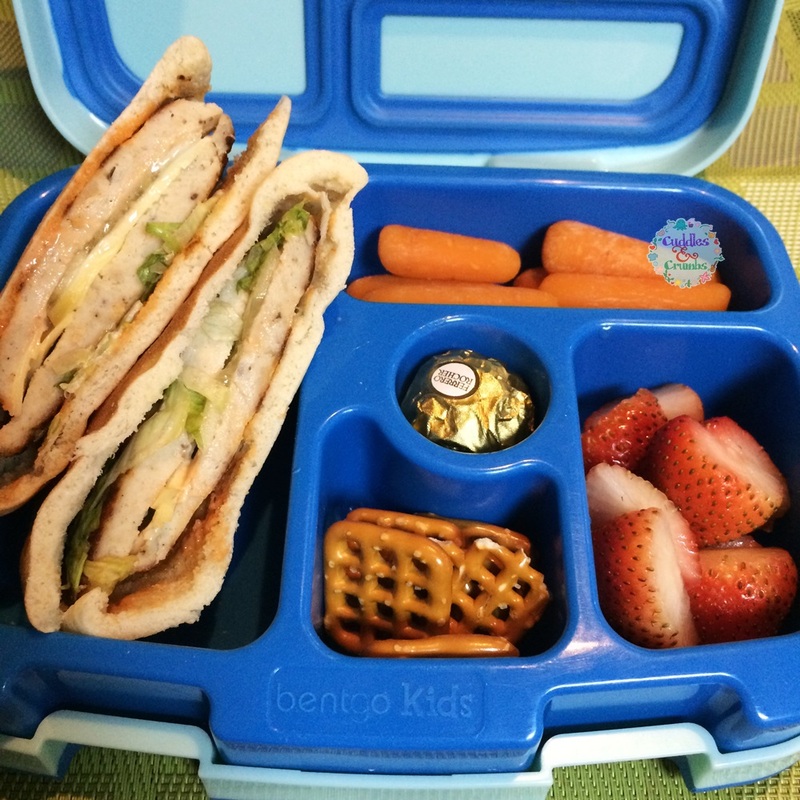 I love seeing these bento lunches, they look so delicious and interesting. I think my kids would love this. These look fantastic! So much fun to open up a lunch like that!